A Croatian model, left, has been arrested and faces an attempted murder charge after she allegedly stabbed her identical twin sister, right, because she was believed to be jealous of her relationship with a man they both liked. Police were called on Saturday night after a violent row in which Sara plunged a kitchen knife into her twin sister leaving her critically injured and fighting for her life. Dajana is currently in the intensive care ward at the local hospital with a deep wound to her chest and to her thigh. She's in a stable condition. 'They were apparently arguing about a man that they both liked. He seems to have settled down in a relationship with Dajana and Sara was not happy about it. 'They were always immaculately groomed and polite, and as alike as two peas in a pod. I never knew which one was passing me in the corridor but they always said hello. She said that she did not often see the two girls together although they lived at the same address, and thought that despite the fact they were identical twins there was an element of jealousy between the two over who was the more attractive. 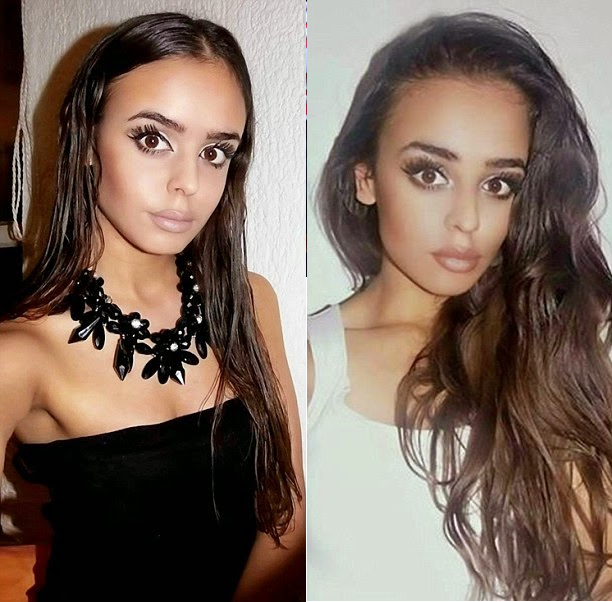 Sara Grkovic, 22, and her twin Dajana lived together with their mother in the northern Croatian port city of Rijeka. The girls' mother is believed to be working in Germany while their father isn't in contact with the family, according to family friends.